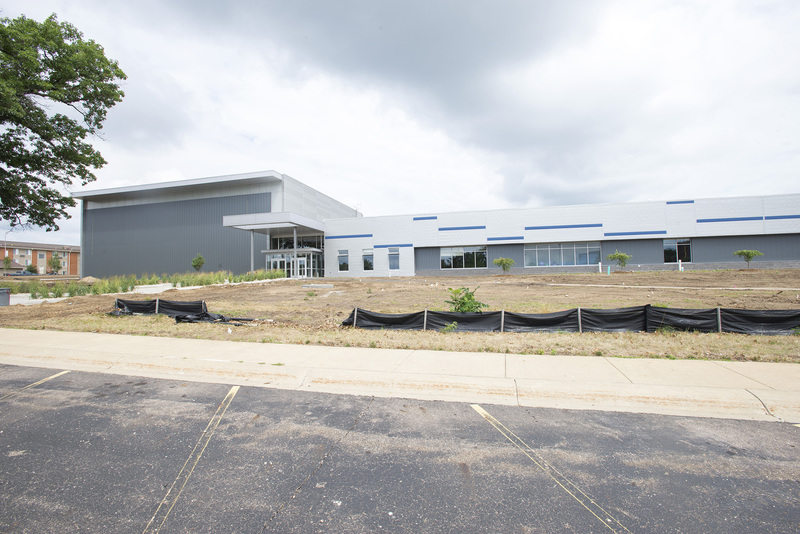 An open house and ribbon-cutting event to celebrate Kellogg Community College’s new Miller Physical Education Building will be held from 4 to 6 p.m. Tuesday, Aug. 7. The building is located on KCC’s campus at 450 North Ave., Battle Creek. KCC athletes, coaches and instructors will be available while guests tour the result of the $10 million project, which began construction in 2017 thanks to funds from a capital millage approved by voters in 2012. KCC officials and representatives of the Albert L. and Louise B. Miller Foundation will give a 15-minute presentation and a new time capsule will be placed inside the building. The new 39,000-square-foot building may technically be smaller than the previous athletic center that served the College since 1966, but KCC Athletic Director Tom Shaw said it’s more efficient and modern. In fact, the gymnasium is bigger than the old one. It has a higher ceiling at 35 feet and it’s wider, which will allow it to be partitioned. Shaw said the new building also will make KCC more competitive in recruiting athletes. “People will see that it’s a step above high school,” Shaw said. Other features include a larger weight room and aerobics room. There are also classrooms with computer stations, allowing student athletes to study near where they practice. Another aspect of the building is that it creates an inviting space where the community can see the Bruins take on their competition at home. “We are the community’s college sports team,” Shaw said. As a strategy to provide opportunities for students while building excitement and enrollment, KCC is currently expanding its athletics offerings. Starting this fall, KCC will compete in men’s and women’s cross-country with Erin Lane as the head coach; the teams will compete in their first meet Aug. 31 in Olivet. In 2019, the College will add women’s soccer to its team lineup. And in 2020, KCC expects to add men’s and women’s bowling as a competitive sport.